THE NIGHT WE HEARD SANTA ON THE ROOF! Christmas was always a very special time in our house and one of the best Christmases ever was the one when all the cousins came to stay. 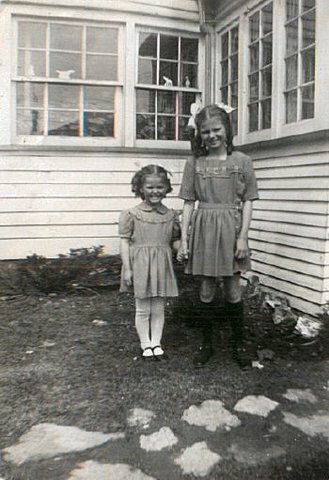 We were living at my grandparent's house in Stratford Ontario— Mom, my little sister Jeannie and me — when my father was overseas serving as an army chaplain in a field hospital in Holland. Every Christmas at Grandpa's was full of fun. The aunts and uncles and cousins came from various parts of Ontario and the house was full of laughter and good cheer. That particular Christmas, because of the crowd, my cousins and I were allowed to sleep in the sun porch room. As usual, we stayed up late, played monopoly and crochinole and Chinese checkers. We had our special Christmas treat: glasses of sparkling ginger-ale (our family's 'champagne') and ate lots of the delicious goodies Mom and Grandma had backed. We sang carols, told stories and finally we were tucked into bed. Some time after midnight I was wakened by a sound on the roof. I heard jingling bells and a loud "Hohoho!" My cousins woke up too when we heard the stomping of footsteps on the roof. Santa Claus! He was right on the sun porch roof getting ready to come down our chimney to deliver the toys. None of us dared make a sound and ducked under the covers pretending to be asleep. Sure enough, the next morning there were lots of toys under the tree. Santa had really come! And we had heard him! I could hardly wait for school to resume after the holidays so I could tell my classmates. The first day back I went to school bursting with excitement. As I entered my classroom I announced, "Santa Claus came to our house. We heard him on the roof!" "What?" scoffed one of the older boys. "Don't you know that Santa is a fake? He's just pretend. You couldn't possibly have heard him!" I was crushed! When I went home for lunch that day I was in tears. "This boy in my class says that Santa isn't real!" I sobbed. My mom was sympathetic but she admitted to me that Santa really was just a myth. "I heard him!" I insisted. "We heard him up on the roof on Christmas night!" "That was Uncle Frank pretending to be Santa Claus," my mother explained. For me, it was one of my biggest disappointments. I was ten years old, and my fantasy world was shattered forever. I've never forgotten it. 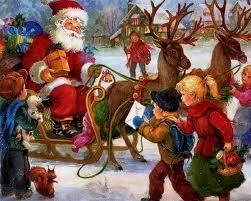 I always tried to keep the myth of Santa Claus alive for my own children for as long as I could. And when I worked as a daycare supervisor some years ago, we always made the Christmas celebrations special for the children. I'd say "Let's pretend about Santa Claus," and we'd tell the time-worn Christmas fable of jolly old St. Nick and his sleigh full of toys pulled by the reindeer. I still think the Santa Claus tradition is one of the most fun parts of Christmas! I’ve always been a person, who since my childhood lived half my life in an imaginary world. 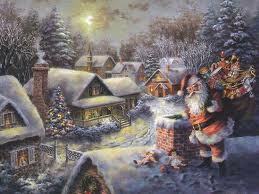 Believing in Santa Claus was one of those myths, and one that I regret ever having to give up on. Christmas was always a special time in our house. My Mom and Dad played along with the Santa myth to the fullest, and besides the real Christmas celebration of Jesus’ birth, there was plenty of fun, pageants, caroling, sleigh-rides, visits to see the Christmas lights, and best of all, the yearly visit to see dear old Santa Claus. When I was married and had my own children, I always tried to make Christmas the same kind of magical, exciting time my parents had made it for me. We decorated the tree, had parties, went to visit Santa in the stores, and took part in all the Christmas festivities in our community. 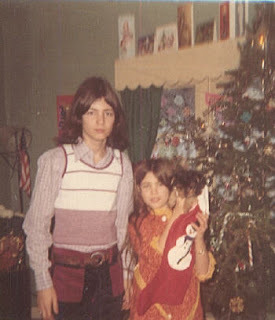 Christmas was always a special, fun time for my children, just as it had been for me. Then one year, the year my son, Stevie, had turned sic and my daughter, Andrea, was about to turn two, the Christmas fantasy got spoiled. 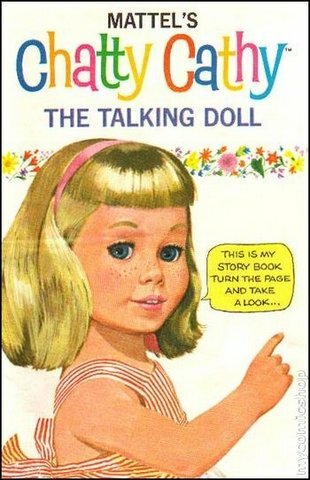 That was the year Mattel put out a new kind of doll—one that talked. Her name was Chatty Cathy, a blonde little cherub with a saucy face. When you pulled the ring in her back, she spouted various lines of dialogue such as “Hello, I’m Chatty Cathy. What’s your name?” I couldn’t resist buying one for my little daughter. One Christmas Eve, after the children had been tucked into bed and I had waited to make sure they were asleep, my husband and I started to put out the toys from Santa under the tree. This ritual also involved eating the cookies and Christmas cake the children had left on a decorated plate, and drinking the beer that would help refresh Santa on his journey. After this, we took the carefully hidden packages out of the closet and began to set them up: the usual GI-Joe toys and cowboy regalia for Stevie, the little girl trinkets for Andrea. 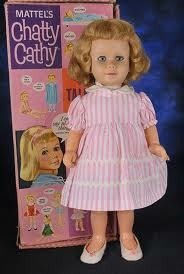 And Chatty Cathy. I couldn’t resist pulling the ring to her the doll talk. She was so cute| I knew my daughter would be thrilled with her. Chatty Cathy and I chatted for awhile, then I put her in her special place under the Christmas tree. I felt so bad! 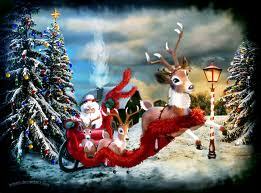 Chatty Cathy had given away the secret of Santa Claus and spoiled the Christmas surprise for my son. After that, Christmas wasn’t quite the same for Stevie, although we always tried to make it just as much fun. Stevie was a good sport and went along the Santa Claus myth for his little sister’s sake. Here it is, that Jolly Old Season again and true to tradition my bank account is running on empty and I haven’t even started shopping yet. It’s just a fact of life that happens when one lives on an extremely low-income budget. Somehow, things always work out alright though. I’ve had lots of experience organizing gala Christmas celebrations on a shoestring. I recall those “hard times” back in the ’70’s when I was a divorced single mom struggling to support two kids on a miniscule salary as a daycare teacher. My boyfriend and I decided to cut the costs by moving into a big house which we shared with a variety of other equally poor lodgers and assorted dogs and cats. My boyfriend was on the lam from the American army as this was during the Viet Nam war so any work he had was under-the-table at a car wash. 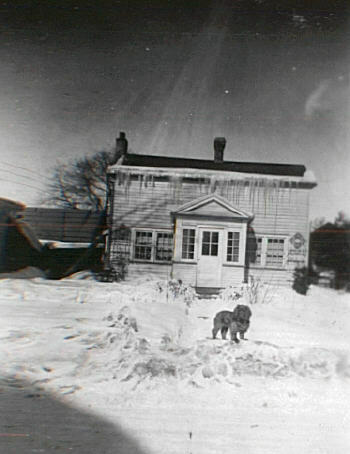 The other lodgers were young college students, and an occasional deserter or wayward hippie that took shelter with us. We never turned anyone away and each guest or tenant, no matter how impoverished, would participate by helping with cooking, sharing expenses and whatever. We all learned how to make do with very little and we were a happy, carefree gang. The first year we moved in, with our very sparse budget, we were still determined to make the best of it for the Christmas season. After all, it isn’t Christmas without parties, decorations and presents. So all of us got together and cut out coloured tissue paper snowflakes to decorate the windows. We hung lights and somehow managed to get a Christmas tree which we decorated with traditional balls and tinsel as well as strings of popcorn. But what to do for presents? It happened that I had a lot of material goods brought from my past life, so I sorted through the china tea-cups, jewelery and other items that I had stored away, carefully picking just the right gift for each of my friends. The girls in the house baked Christmas goodies and the old house was full of the delicious, familiar smells of the holidays. The whole motley crew enjoyed a turkey dinner with all the trimmings. It was a special Christmas because it wasn’t in the least bit ‘commercial’. Everything we had made or chosen from our own belongings to give away. It gave Christmas a new, special meaning. There were a few other Christmases on a shoestring too, during those years. Once I remember us having a box of odds and ends: ribbons, tinsel, shiny paper, glue, sparkles and various artsy craftsy thing and each guest who came visiting had to make a decoration for the Christmas tree. One year my daughter and I made gingerbread houses for all our friends. Another time we had a Christmas cookie contest and decorated sugar cookies cut in various festive shapes which we hung on the Christmas tree. The ornamental cookies were so pretty we decided to keep them for the next year. But alas! The following Christmas when I opened the box up, the mice had eaten all the cookie ornaments! Christmas in the ‘40’s was a time when all the relatives came to celebrate at Grandpa’s house. We would troop down to the train station and stand waiting on the wooden platform, our breaths puffing like the steam from the locomotive engine, the frosty winter air nipping our cheeks into roses. The train chugged into the station, the coach doors opened and travelers spilled out onto the platform. Happy greetings filled the air as merry as caroler’s songs, families embraced and made their way down the snowy streets. When my uncle, aunt and cousins arrived, we all went back to Grandpa’s house. How my grandparents found room for everyone, I can’t imagine. All the Aunts, Uncles and Cousins crowded into the small living room around the Christmas tree to chat, the crackling of the flames in the hearth sounding like pop-corn. After a few games of monopoly and Chinese checkers, my Uncle Frank would performed a comical rendition of “Herbert Burped”, tongue-in-cheek, about a little boy who gets swallowed by a lion. Then all of us children were tucked snugly into beds, often three in a bed, the middle one squished between the other two, warm in our flannel pajamas, while the grownups sat up late eating Christmas cake and drinking ginger ale. My little sister Jeanie and me, wearing dresses Mom made for us. One particular Christmas stands out in my memory. That was the year I bought the best Christmas presents I’d ever bought before. Certainly, the most memorable! I was nine years old, and I felt very grown up as I went off to town to do my own Christmas shopping. I headed straight for the Woolworths Five and Dime store where you could always get the best bargains. I looked over all the trinkets, trying to decide what would be the finest gifts. It was difficult to decide. I wanted something unforgettable. Something everyone would love. Then I saw it: a little clay Chinese dragon on a bamboo stick. The head of the dragon was made of painted clay, and it had a red felt tongue that looked like fire shooting from its gaping mouth. The body was accordion-pleated tissue paper. When you waved the stick, the body expanded and the head shot out, tongue flickering, like a real fire-breathing dragon. The Chinese dragons would make the perfect Christmas gifts! I bought one for each of my relatives and excitedly headed for home, proud of myself for making such an extraordinary purchase. But when I showed them to my Mom, she was not impressed. In fact, she was upset with me for ‘wasting’ my money on such foolish toys as these instead of buying something more ‘practical’. I felt embarrassed and disappointed. However, it was too late to return the dragons to the store, so I wrapped them up and put them under the Christmas tree with the other gifts. On Christmas morning I waited nervously for everyone to open their presents. I felt embarrassed thinking that my relatives would think the present’s I’d bought were foolish and useless. Instead, when the gifts were unwrapped, everyone was amused and delighted. especially my Uncle Frank. He played with his dragon all day. Of course, Uncle Frank always was the life of the party! Christmas was always a special time in my family with exciting outings organized by my mom who enjoyed it just as much as us kids did. One year, when I was nine, my Grandpa suggested we should go to Toronto to see the famous Santa Claus parade. Grandpa was a shop foreman for the CNR and he organized the days outing for us. I was so excited! The prospects of going on the train to Toronto, seeing the parade and visiting Santa was more than I’d ever dreamed of! The morning of our adventure I woke up feeling a bit nauseous, but I didn’t let on. Mom seemed to notice and put her hand on my forehead to see if I had a fever, but I ignored her. I dressed in my pleated plaid skirt and sweater, pulled on my long ribbed brown stockings and put on the green wool coat trimmed with the Persian lamb collar that Mom had made from one of her own coats which had always been my favourite and my knitted cap and mitts. When I was putting on my galoshes I felt cramps in my stomach and stayed bent over for awhile. Mom questioned me, but again I shrugged it off and said I was just fine. We set off for the train: Grandpa, Grandma, Mom, my cousin Gracie, my little sister and me. It was about a two hour trip to Toronto from where we lived and as we travelled through the snowy countryside I began to feel even sicker than when I’d first got up that morning. By the time we arrived at Toronto I was burning up with a fever and hardly felt like moving. Mom gave me something for my stomach ache and worried over me. But I insisted I was alright to go to the parade. To tell the truth, I was so sick that I can’t even remember what we saw, no matter how exciting it was. All I wanted to do was go somewhere warm and lie down. But I didn’t say anything because, being the determined child that I always was, I wanted to make sure I got to see Santa. After the parade we went to the big Eatons department store and up to Toyland where Santa had his throne and was greeting children. I didn’t even feel like looking at the toys, not even the paper doll books which usually interested me more than dolls or anything else. By the time it was my turn to sit on Santa’s lap I was feeling so sick I had a hard time even managing a weak smile. Santa talked to me and asked me questions but I could barely speak. Worst of all, I thought that if I didn’t get off his knee I was going to puke all over him. When I look at the photo they took of me on Santa’s knee that day, I see a pale-faced child looking absolutely miserable. It was the worst Christmas excursion I could ever remember. And I sure hope Santa didn’t catch my germs! I started writing at an early age. By the time I was fifteen I had a stack of novellas handwritten in textbooks. Christmas was coming and what I wanted most was a typewriter. I put out hints to my parents and spent many hours daydreaming about my typewriter, imagining how it would change my life. My dream was to becoming a newspaper journalist. I went to sleep at night imagining the sound of keys tapping out the 10,000 words of my next novel. If only I had a typewriter: one with a bell that clanged when you threw the platen across, keys that smacked in the rhythm of the words I would write, and a ribbon that printed in both black or red. My parents didn’t realize how much I hated watches, the dreaded symbol of the ‘curfew’ imposed on us teenage kids, a restriction on my adventurous spirit. Now I’d have no excuse for being late. I’d turn into the White Rabbit, always looking at my watch to see what time it was! I felt guilty for being so ungrateful and my Christmas day was spoiled...until later I went up to my room and there on my table was an Underwood typewriter, exactly the kind that my writer-hero Ernest Hemingway used. I’m a published writer now. I have a computer, and the keyboard doesn’t make that exciting loud clacking sound like the old Underwood did, but it still produces a gentle click to the rhythm of the words I type. And in my jewellery box, I have a gold watch with an expandable wristband and dainty oval face, one almost exactly like the watch my parents gave me that Christmas so many years ago. Except this wristwatch is one that belonged to my mother. Every time I look at it, I’m reminded of her, and of that Christmas. Ever since I was a small child, birthdays have been special for me. My mother always prepared special surprised and held parties for me when I was a kid and later, as a teen, she'd ask what special meal I'd liked her to cook. I'd invite my class-mates over to do fun things like pull taffy and play games like 'spin the bottle'. Even as an adult I've loved special birthday parties. For some years I used to hold "Gemini Parties" and invite all the Geminis I knew (as well as other friends). One year the Geminis were told to bring their favorites cakes. There were a lot of strawberry shortcakes (my favorite), peach upside down cakes and other similar goodies. The first year I went to live in Greece I wanted a special "Canadian" birthday. I invited friends to meet up on Filopappou Hill. My Gemini soul-brother Robbie (an artist from Argentina) drew maps for the invitees. I got some wieners, buns, marshmallows and of course the bottles of wine and beer. We couldn't light a bonfire so we cooked the wieners in a little gas cooker for our 'weiner roast'. It was a merry crowd. Some people got lost on the way up and took time out to drink their wine. So by the time the group gathered they were really into party mode. For a couple of years here in Vancouver I celebrated together with my friend Susan who is also a Gemini. We often went to the Latin Quarter (now closed) for our parties. But this year I wanted something different. It happened to be the Powell River Blues Festival weekend so my friend Cheryl and I decided that we'd go up to celebrate. My son Steve was organizer and host of the Festival and I knew a lot of the musicians too. So we made our reservations for the weekend at the lovely Beach Gardens Resort where they Festival was held. We left home early Saturday morning and drove to Horseshoe Bay to get the Sunshine Coast ferry. It's a lovely drive up the coast and although the weather was somewhat overcast, we were hopeful that it would clear. And it did, by the time we had traveled the long winding road up to Earls Cove to wait for the second ferry that would take us to Saltry Bay. It wasn't a long wait and we enjoyed the scenery. The sky was beginning to clear too. And pretty soon we were aboard the ferry. The coast of British Columbia is one of the most scenic places in the world, and even when it's overcast and a bit damp it's still an enjoyable trip. The ferry from Earls Cove to Saltry Bay was fast, like the Horseshoe Bay ferry -- a bit less than an hour. The drive up to Powell River is also windy but Cheryl is an excellent driver. All along the roadside were banks of bright yellow gorse which made a pretty sight. We finally arrived at the Beach Gardens around noon. The receptionist had our room key ready and an envelope with our guest passes for the Festival. And Steve and Sue were there to greet us too! We were shown to our room (with a view of the beach). Ah! what a beautiful sight! After a little rest and some lunch on the terrace, we went up to the Festival site to enjoy an afternoon for Blues and fun with friends. The highlight of that afternoon was the incredible show performed by singer Robin Banks, backed by my son Steve and the West Coast Blues All Stars. We also enjoy the other bands especially the afternoon closing act of the Strange Tones, a group from Portland Oregon that got the place rockin' with their upbeat music and go-go girl dancers. We retired to our room for awhile (Cheryl loves watching the hockey games!) We were both pretty tired, especially Cheryl after that long drive, so she went to sleep and I went down to the dining room and had a bowl of the most delicious sea-food chowder I've ever tasted. There was an evening jam happening, but unfortunately I felt too tired to take it in. Needed to save myself for the next day which was my Birthday! In the morning, we remembered it was the Queen's 60th Jubilee so we turned on the TV to watch and managed to see the flotilla up the Thames. So there I was early on my birthday morning, sitting in bed sipping pink bubbly while watching the Queen! Chilean pink bubbly was definitely the drink of the day! And that's how the birthday celebration began. It was raining that morning so Cheryl and I decided to take a little tour of the old town of Powell River. (I'll post a special blog about that later). We had a great morning exploring and had brunch in one of the towns oldest hotels, then set off to explore. Of course Cheryl wanted to visit the local brewery and we even got to do a wine tasting. Then we did some photos of heritage buildings and set off to take a look at the old hulls anchored off shore where divers practice. While we were down on the beach we spotted a bald eagle up on the cable wires and lots of interesting things on the beach such as a jelly fish and star fish. Then on the way back we saw a deer run across the road in front of the car. We headed back to the Beach Gardens in time for the afternoon show. And the sun came out just in time too! Steve and his group were backing up Mitch Wood (on keyboards) and his Rocket 88s. A great band. At one point Mitch made an announcement that there was a special guest celebrating her birthday. Me! And they sang happy birthday to me. That rounded off the program for the weekend and a very successful Festival and made it an extra special day for me. Now it was time for the birthday dinner. I ordered a cup of that delicious seafood chowder along with linguine with scallops and prawns. Yummy! We also had Cajun oysters for appetizers. The whole gang of musicians was there too so it was a nice party. It was a surprise when the waitress brought in a little chocolate birthday cake with a candle and sparkler. And again everyone sang Happy Birthday to me. After dinner we went to the special party that was thrown for the volunteers and enjoyed an evening of more music at the jam in the PowWow Room. That really rounded off the weekend of great music and fun. That night there was a spectacular full moon enveloped in clouds that gave it a dramatic effect. The next day (Monday) we headed back home and for a treat stopped at Molly's Reach Cafe in Gibsons Landing which used to be part of the set of the old Beachcombers TV series. Right across from Gibsons I could see Keats Island where our family used to have a summer home. That made for some nostalgic memories. Then we headed on down the road to catch the Horseshoe Bay ferry back home. It was definitely one of the special birthday parties I'll always remember! Thanks Cheryl, Steve, Sue and all the others who made it so memorable and fun for me! After my visit to the Museum of Vancouver last week, and finding another example of one of these hideous electric hair perming machines, I decided to revive a story I'd written a couple of years ago and submitted to the BC Museum in Victoria when they had a large display of memorabalia. The story went along with the instrument of 'torture' after I'd remembered all those unpleasant memories of a real 'bad hair day'! Back in 1952 when I was soon to graduate from Britannia High School in Vancouver, there was a popular hair style called the ‘poodle cut’. It was a short hair cut, permed into a soft curly style resembling a poodle’s pom-pom. A lot of my classmates were having their hair styled this way for our grad, and I wanted to be like them. It happened that my Mom and little sister both came down with scarlet fever and were quarantined as they did in those days and I had to go and stay with a family friend, a very kind old lady named Mrs. Grey. I told Mrs. Grey how much I wanted a poodle cut. So one day she gave me some money and told me to go up to Commercial Drive and make a hair appointment. Up to this time, my Mom always cut and permed my hair. So it was quite a thrill for this teenager to have an appointment at a real beauty salon. I felt somewhat daunted when I saw the electric perm machine, something left over from the ’30’s, a kind of weird thing like you‘d see in a mad scientist‘s lab. But I was determined to get my ‘poodle cut‘. The woman cut my hair, then rolled it up in the perm rollers. The perm machine worked on electricity. As I sat under it, I could feel it sear my scalp and I smelled burning hair. When the procedure was finished and the rollers were removed, to my horror I looked as if I had been zapped by 220 volts of lightening! My hair was frizzed like a Hottentots. You couldn’t even get a comb through it. What a frizzy mess! I was in tears. I wouldn’t go out without a kerchief on for days and even missed school because I was so embarrassed. How could I face my class-mates looking like such a freak? I didn’t realize I was pre-dating the Afro hair style of the late ‘60’s and ‘70’s. My "poodle cut" after Mom had cut off most of the frizz! Fortunately, my Mom soon recovered enough for me to return home. She immediately set to work on my ruined mop with her clippers. She had to cut off most of my hair. Even then it was still tight and frizzy. When I returned to school, the older guy that I had a crush on started calling me Puppy Dog. He’d pat me on the head every time I passed him in the hall. At least he was paying attention to me. After all, I did look like a poodle! Mitso's house is the white one on the top. My little spitaki is hidden behind the trees to the left of the white house with the red showing. In 1984 I began living part-time in the village of Lala up in the mountains of Euboeia in Greece, and I spent nearly all my spare time there until 1987 when I had to return to Canada. Since then, I visited as often as I could, because it became "my" village, and the people there adopted me as their friend. When I first started going there, I met Mitso, one of the shepherds, and we became very good friends over the years. I'm sitting on the stone fence, looking out over Lala, its houses nestled among the trees on the inner slopes of the mountain. 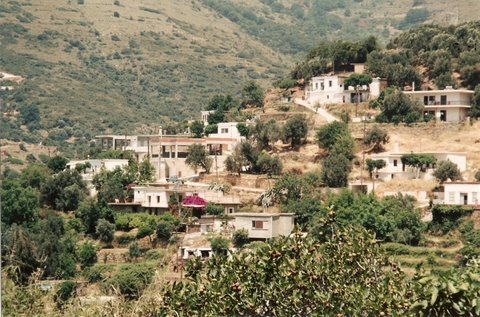 everything is green, even this late in the summer The square white houses of the village are tiered up the steep hillside. Below them, tall cypress trees spire above the olive and citrus groves. On the far mountainside, behind the village, old groves of chestnut and oak trees cluster under the rock spires of the mountain's crest. Behind the village, the undulating grey rock ridges encircle the valley, rising like a fortress wall. Every sound echoes -- dogs barking, goats and sheep bleating, sheep bells clinking and clanking in their sonorous tone as the flocks move down the hillside to their evening pastures. I hear the distant sounds of Greek music, a man singing in a minor key, children's voices, neighbours calling back and forth. Somewhere in this village, there is a shepherd named Mitso (Demitrios). I look at all the little white houses and wonder which one is his. Are those jangling sheep bells his sheep? Is that bleating nanny goat one of his herd? This shepherd rides a white horse. He's a lean, wiry man, a mountain man. He has a wide, beautiful smile and eyes that crinkle at the corners. He wears a peaked cap and a checked shirt and grey trousers -- the shepherd's costume. He is in his mid-fifties, and he has lived in this mountain village all his life tending his flocks of sheep and goats. This is the shepherd who comes to me in my dreams, tells me wise things, counsels me and makes me wake up feeling very happy. This is a special man, someone who has been a source of inspiration to me for almost ten years now. But he doesn't speak English, and my Greek is very basic. So how do we communicate? Somehow, we do. But there is too much that has to be left unsaid, too much I want to say, he wants to say, we want to say. And how will we say it? Across the valley I hear a man's voice. Is it his? Is that him driving his flock down the mountainside? "THE SHEPHERD: Part Two "A Marriage Proposal." The setting sun is shining right on Mitso's house, the 'acropolis' of Lala; the house where I have dreamed of sitting on the porch writing. But now I know it will never be. It's because of the village - the customs - the archaic rules that prohibit even grown adults like Mitso and me to sit privately together, or even have an intimate conversation. Life hasn't changed much in this village since the old days, though perhaps there are more modern comforts to make the life easier. Far away I can hear the shepherd calling his flock. "Kroo kroo kroo-kroo"
One time I heard Mitso calling his sheep up on the ridge behind the old mill where I often sit to meditate and enjoy the cool, fresh spray of the waterfall. He appeared there, radiant as a knight, his appearance stunning me into speechlessness. He expounded poetically on the "zoe" (life) and I (as usual) was baffled by the translation. Not much has changed. He still astounds me. I'm still baffled by the language and miss all the important things he tries to convey to me. Like the other day when we met on the dusty roadside, quite by chance, as I was walking down to the port to catch a ferry back to Athens. We stole a precious few moments, expressed our delight at seeing one another. Then he said something to me in a very serious tone. I couldn't work out the translation, and misinterpreted what he meant. Until ten minutes later, as I walked down the road, I realized he had said "When are you going to marry me and come to live in the village?" My friend Antonia told me that long ago Mitso's father went off to America to earn money, and returned to buy his sons land. Mitso and his brothers had no education. They have lived their lives here on the mountain. When I considered Mitso's proposal, and asked Antonia's husband if I should marry him, and come to live in the village, Jimmy looked at me sternly over the top rim of his glasses and said: "How can you marry him? You don't have any money or property or anything." I had forgotten the dowry system. In many villages in Greece this old-fashioned bride barter is still the custom. I'm just a struggling writer with no bank account and a part-time day job. I don't even own a car or a townhouse. "And what would you do with him, anyway?" Jimmy asked. "Will you take him to Canada?" Mitso rarely even goes to Athens, so how could I take him to Canada? He's a mountain man. "Can you cook and do housework?" Jimmy said. "Because if you live here in the village, you wouldn't be able to sit around reading and writing. You would have to be busy preparing things!" It was Jimmy's frank statements that made me see things as they really are here. Being married to a shepherd would be a life I could not tolerate. A loss of freedom. A loss of independence. So, the fantasy that has gone on for all these years, will remain forever a fantasy. I will always be just a guest-friend here. It is evening now. The shadows are darkening in the folds of the hills. There are tinges of golden brown and russet on the hillsides, and patches of brilliant green in the valley where the mountain streams run through the olive and citrus groves. I listen again to the pastoral sounds of sheep bells and these sounds, this mountain music, fills my heart and head, remains with me always, returns to me on wet night and winter days in Canada. These are the sounds I cherish, this special music of the village. And months from now, when I'm back home, I'll think of this place, my village, and my shepherd who is always on the mountain and is perhaps thinking to me. A couple of years after I wrote this, I rethought my decision and was going to village to see Mitso again, with the intentions of accepting his proposal. Just before I left for Greece that summer, Antonia phoned to tell me Mitso had died. It was unexpected and a shock to everyone. He’d succumbed to lung cancer. I went to the village that summer with my friend and put a sprig of myrtle on his grave. A funny turn to the story: I’d always thought he was ten years younger than me because he once told me his age. Turned out, according to the engraving on the grave, he was ten years older! See? Even men lie about their age! That was the last time I visited Lala. For some reason the village was deserted – like a ghost town. Many houses were shuttered up and not a soul was to be seen. The magic had gone out of the village, and so had the life. Each time I fly off into the rising sun, I am reminded of another flight I took some years ago. Although these trips I have plenty of money in my pocket, that time I was really "flying on a wing and a prayer" in what was to be an unforgettable magic carpet ride. The adventure began in the winter of '75. I had recently split with my boyfriend. I was feeling melancholy that night my friend Rosalie invited me to the disco. I certainly was not looking for romance. It was toward the end of the evening when the handsome young man asked me to dance. Although we didn't speak at first, there was suddenly magic in the air. he projected warmth, and something very special. Strangely, even before he said his name, I knew it. "Hakki." He was Turkish, a Chief engineer on a Turkish ship. He spoke English well having been educated in the best marine officer's college in Istanbul. He was a small, dark man with a flashing golden smile, an athlete (marathon runner) and a career merchant seaman, an officer and a gentleman. We danced together for the rest of the evening and at the end of the night we could hardly bear to part. We fell in love that night. For the next two weeks we spent all our time together either at my house or on his ship. I was welcomed on board by the Captain and crew and treated respectfully as an honoured guest. The Captain, who reminded me of my literary hero Ernest Hemingway, invited my friends and i to dine in his private galley. he was very much concerned about Hakki and me, in a fatherly sort of way. "What are you two going to do?" he wondered. Everyone knew this was the beginning of a big love story. Then the day came when Hakki was leaving the ship to fly back to Istanbul for his leave. It was a difficult farewell, bitter sweet, but not without hope. Coincidentally, a week before I'd met him, I had gone to a travel agent intending to purchase a ticket to Guatemala to return to the villages where Dan and I had spent three months the previous year. On an impulse I booked a flight to London instead. England in February? At the time, I didn't know why I'd done that. Now I know it was my destiny and in fact, the decision may have saved my life because a devastating earthquake destroyed those Guatemalan villages right about the time I would have been there. So I said goodbye to my beloved Hakki, agreeing to meet him in London the following month. When I arrived in London, Hakki called and suggested I should come to Istanbul instead. he wanted to show e his city and some of the historical places on the Turkish coast. I decided to travel to Istanbul on the Orient Express train (me and Agatha Christie) and while I waited for my money to be transferred from Canada, I went off to Wales to visit my cousins. While in Wales, I got a call from my friend in London. Hakki had sent a cable. "Don't wait for your money. Come now. i have signed on a new ship and must leave in 10 days." I rushed back to London, booked a one-way flight to Istanbul with borrowed money, and wired Hakki to say I was arriving Saturday morning. I had no time to prepare myself for the adventure that lay ahead. I set off with only five Pounds in my pocket, on a one-way ticket to a city I knew nothing about, a mysterious city far away to the East, flying on a wing and a prayer to the Orient. 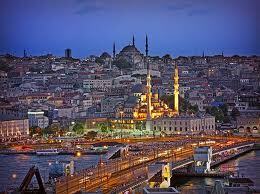 This was Istanbul during the time of "the Midnight Express" and the very first attempted plan hijackings. As we landed, I saw that the airport was completely surrounded by army tanks and heavily armed military police. The airport arrival building seemed to be only a Quonset hut. Hundreds of men milled about staring with their intense eyes, speaking a language that was impossible to translate. I had no idea of where I was or what I'd do if Hakki wasn't there to meet me. At that moment I realized how frivolous and possibly dangerous this escapade was. Supposing he wasn't there? What would I do? the Canadian Embassy was far away in Ankara. The five pounds I had in my pocket wouldn't even get ma a taxi into the city and a hotel for the night. I pushed my way through the crowd, breathless and terrified. And then i saw him! I ran to embrace him, relieved to be safe in his arms. He seemed taken aback, a bit reserved. Later in the taxi he explained that it was forbidden to publicly embrace and kiss in Turkey. "But anything goes in private," he grinned. Those days I spent with Hakki in Istanbul were the most memorable of my life. There are so many moments I can never forget and often I can project myself into his apartment to relive those times. Each time I make Turkish coffee, I remember that first day in his kitchen when he was showing me how to mix the coffee and sugar, fill the little briki with water, then watch carefully til it bubbled up. And each time we'd be in a passionate embrace just as it bubbled up and boiled over. I remember watching gypsies with a dancing bear on the street below his apartment. I remember all the nights he held me close, nights I never wanted to end. He took me everywhere, treated me like a princess, lavished love and attention on me, showed me every aspect of his magnificent, mysterious city. 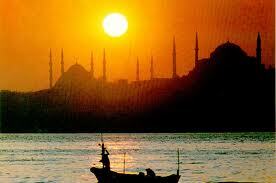 I fell in love with Istanbul and the Turkish people and most of all with Hakki, my Prince Charming. Finally the day came for me to leave. I don't know how i got through the departure gate at the airport without bursting into tears. Both of us were torn apart by my leaving. I walked away from him bravely and took a seat in the waiting room. A strange man came and spoke to me, pointing to the departure gate. Hakki was still standing there, so I ran back and embraced him one last time. This time I couldn't stop the tears. I cried all the way back to London, but I vowed I’d see him again somehow, some day. We kept corresponding for several months. 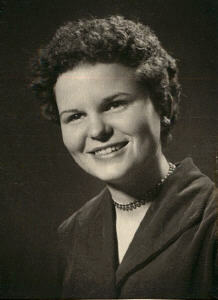 I still have the letters, the tender words "you are an estimable woman". I had wanted to have his child, but it was not possible so all I was left with were the precious memories. Some affairs are never meant to be anything more than beautiful fairy tales. 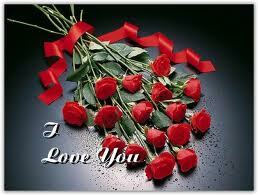 Eventually the letters stopped, but my memory of him, my love for him, never faded to this day. He taught me the tenderness of unconditional love. He restored my faith in romance. I can still remember very clearly all those days in Istanbul: eating yoghurt for the first time at a small cafe by the Black Sea; wandering thr9ug the Topkapi palace in awe of all the treasures kept there; the Grand Bazaar where he bought me a beautiful maroon velvet shirt and embroidered slippers. I left a piece of my heart in Istanbul. Some years later, when I was living in Athens, I went back there to visit. I was sitting in the coffee shop at the Topkapi museum and suddenly looked out on the palace gardens. At the moment I realized I was sitting in the exact place I'd sat with him. My memories of Hakki were everywhere and they still live in my heart. Since then I've been to Istanbul three times, also Izmir, Cesme, Bursa, The Princes Isles on the Marmara Sea where the Byzantine princes had their summer villas. I've visited Assos, where Aristotle had a school, and Troy and Pamukalle where turquoise cascades flow over limestone cliffs. Once at my favourite donair kebab shop in Kusadasi, a man joined my table. He said he was a sailor on leave from his ship, an officer, from Istanbul I said I'd been to the officer's club there, because I had a friend who was a sailor. he asked me my friend's name. "I know him," he said. "He doesn't go out to sea now. He inspects ships in the port.' He asked why I didn't try to contact Hakki. But ten years had passed by then. It was too late. Hakki and me in the night club in Istanbul. Post note: A couple of years ago I was at a media dinner for Turkey and sat next to the tourism agent who reminded me a lot of Hakki. I told him this story. He was so moved by it he insisted he would try to find Hakki for me when he returned to Istanbul, and give him a message. After some time, he actually did track Hakki down and spoke to Hakki's wife (of course, by now I knew he'd be married!) He gave her the message for Hakki that his friend from Canada sent greetings. For me that was a beautiful closure to a real love story! 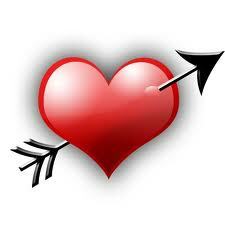 VALENTINE THEMES: #1 "APHRODITE'S ARROW"
Valentine's Day is coming so I'm going to post some poems and stories about love, broken hearts and other appropriate themes. My mind drifts in the slip-stream, those melodies, that voice as sweet as Tupelo honey. It is a safe and comfortable feeling being with my gathering of friends in Fat Freddy’s Tenth Avenue house. I was born with a gypsy soul, so it’s no surprise I ended up with a motley crew like these The guys all had names to identify them: Fat Freddy, Dirty Dan, Supersonic Joe, Mad John, Lofty. Half of them were on the lam from the States, deserters or draft dodgers trying to protest and escape the war in Viet Nam, a cool gang of long-haired hippy dudes. We were their long-skirted gypsy women. We were family. I was living with Dirty Dan and my two kids and an assortment of other gypsy souls back then. It had been a long and interesting journey from the straight suburban life in Northern Alberta to the hippie houses of Vancouver. But it wasn’t surprising that I ended up there. I was born a rebel. My adventurous spirit began when I was a toddler, gave my parents grey hairs at an early age. Growing up, I always felt I was singing a different tune, dancing to a different beat. In school the teachers despaired of me, said I was a ‘dreamer’. I often chose friends who were the ‘outcasts’ -- kids who were different and unpopular. Maybe I gravitated toward them because they were out of the ordinary, ‘different’, like me. It’s no surprise then, when I got out of high school and started working at the newspaper, that I discovered another bunch of rebels, the Beat Generation. Jack Kerouac became my hero, along with Alan Ginsberg and all the Beat poets. I read everything Kerouac wrote. I wanted to write like him, be hip, travel on the road with him. I wore black and hung out in smoky coffee houses, listened to jazz and bongo drums. I developed a taste for dry red wine, went to art school, wrote haiku and read Existentialist writings. I even took the bus to California a few times. These events began to shape and change my life. Unfortunately the constrictions of marriage and raising a family deterred me from following my Beatnik dreams. Seven years in a northern suburbia raising my kids and dealing with my husband’s downward spiral with alcoholism isolated me from a world I longed to be part of. Then, a trip to New York changed my life. I went to visit a friend who lived in Greenwich Village, a place I’d only dreamed of until then. I prowled the Village, the bistros and coffee houses that were the haunts of my heroes. The Beat Generation had been replaced by a new generation of rebels, the Flower Children. All the talk in the Village was about Woodstock. I was introduced to a different kind of music, turned on to marijuana and hashish and the kind of free-spirited life-style that I’d always longed to live. Dan, and his friends, gave me love at a time when I had needed it most. I had met him the year we moved back to the Coast. He was a big, solid, gentle guy, a deserter from the American army, one of the group of deserters and draft dodgers who had taken shelter here in Canada and were hiding out from the immigration. They called him “Dirty Dan” because he was a wanna-be biker dude who had grown his hair long and joined the band of gypsy souls who hung out on Fourth Avenue. There was always music: The Doors, Janice Joplin, The Rolling Stones, T-Rex, Led Zeppelin, the Moody Blues and Van Morrison. *** In memory of Dan who I learned is dying (or perhaps already gone) from cancer. We lived wild in those days during the '70's. I loved him once, but he chose a life of drugs and I had to say goodbye to him to protect myself and my children. Now he's gone, cancer and apparantly a long addiciton to crack cocaine. Karma? Perhaps, but still, I wanted to remember him and the parts of our time together that were free and fun. Me? I'm still Moondancing, always the free spirit. This is a memoir I wrote awhile back about New Years Eve. This year, to celebrate the year 2012, I went with my friend Cheryl to the Granville Island Hotel where my son Steve and his band, The West Coast Blues Revue was playing for their second New Years Eve in a row. We'd had such a grand time there last year that this year Cheryl and I decided to rent a room at the hotel for the night and really live it up. It was costly but great fun and we've already decided to do it again next year if Steve's band is asked to play there again. For the last few years I've attended New Years Eve parties at the places where my son's band was playing, and in the company of good friends. So it has become a really fun event to look forward to. This little memoir story is about other New Years Eves in the past, some of which were not so memorable or so much fun although I always tried to make the best of it, no matter what the circumstances. I have both fond and melancholy memories of New Years Eves. In the old times it was one of the most anticipated holidays next to Christmas. You always had a new outfit to wear which was planned well in advance, something fashionable and spectacular to wear to the celebration which was often held in a night club or at a gala house party. I’ll never forget the year I’d made a gorgeous gold pois de sois two-piece dress. I looked fantastic. But when I arrived at the big party with several other couples, which was held in a big barn-like place on Grandview Highway, I was chagrined to find that another woman in the group was wearing a dress of similar style and material. I was crushed, but of course I had made mine myself so considered it be more ‘original’. I recall one new years eve when I was in my late teens, my girlfriend and I had been invited out by two American sailors to attend a show at the Cave supper club. My girlfriend had a new dress but hadn’t time to hem it so she’d pinned the hem up and all night long the pins scraped her legs until they were bleeding. After the show at the Cave, we tottered over to the Holy Rosary Church for midnight mass. I was in charge of holding the bottle of wine in a brown paper bag under my coat, and I distinctly recall dropping it in the back pew! Yes, New Years eve was always a night of wild abandon and over-drinking. At clubs or house parties, when it turned midnight, you are supposed to kiss your partner or date, but all to often I’d find myself alone in a crowd of strangers while my boyfriend was off in a corner kissing someone else. I soon grew weary of these episodes. New Years eve began to lose it’s romantic appeal, and instead it became a lonely time, especially once I was single. Eventually I decided I’d rather stay home alone, if necessary, so I’d bring in some goodies: the makings for Welsh rarebit, oysters to fry, a few bottles of McEwan’s ale and a bottle of Heiken Trokel sparkling wine. I’d tell a few people my plan and wait to see who’d show up, and usually a couple of close friends would drop by. One of my most memorable New Years Eves was one I spent all alone enjoying my own company, dancing to my favourite music. I’ve had New Years Eve’s abroad, far from family and close friends, that were still fun in their uniqueness. One time I remember my room-mate and I heading off to a big hotel for the night and on the way stopped to get a bite to eat at a pizzaria. We walked into a party of rowdy Quantas airlines crew who immediately embraced us and invited us to party with them. That was one of my best times, and it landed me a nice boyfriend for several months, so long as Quantas was flying in and out of town. Now I will occasionally make plans to go out, if friends are going along and the price is right. Being with close friends, dancing and dining, is quite satisfying. It’s no longer to me the ‘romantic’ exciting night it used to be, but it’s worth a little celebrating especially if it’s been a good year.